•Auto On/Off. In combination with powered tools the machine starts and stops automatically when you start or stop the power tool Tilt or LiftOut container emptying. •The 70 liter stainless steel container can be easily tilted in the frame or lifted off for emptying. IVB 7X M Nilfisk The IVB 7X M class is equipped with the unique EC drive motor system. This ensures long live time and enables use in ATEX zone 22 areas. The IVB 7X is approved according to ATEX directive 94/9/EC for the use in Zone 22. ATEX is an acronym/abbreviation for “Atmosphères Explosibles”. The set of ATEX Directives and Standards is the EEC reference for protection against the danger of explosion in the presence of flammable gas and/or dust. The explosive atmosphere can contain flammable gases, mists or vapors, or combustible dust. If there is a sufficient concentration of these substances, mixed with air, an ignition source can cause an explosion. 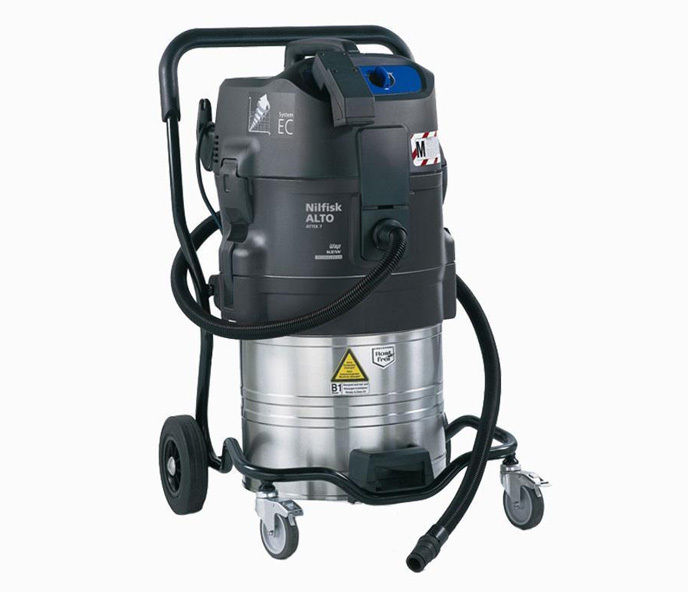 Nilfisk manufactures ATEX-certified industrial vacuum cleaners, certified by a Notified Body, that are used by companies dealing with the above hazards. In particular, EEC Directive 89/391 (1989) on the implementation of measures to improve health and safety at work, deals with the risk of explosions. 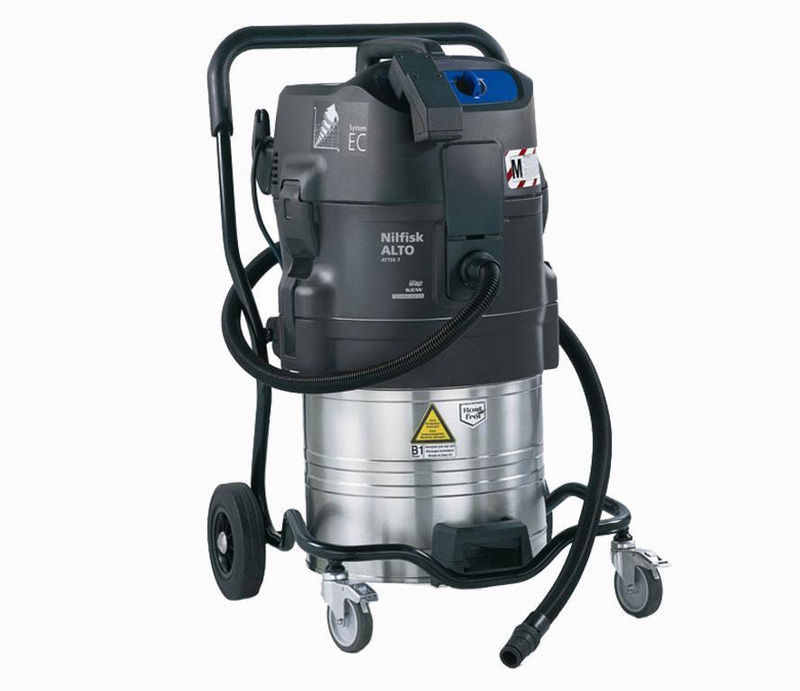 Directive 2009/104/EC (on minimum safety requirements) further consolidated the concept of the adequacy of equipment - industrial vacuum cleaners in this case.